888Poker´s XL Blizzard series takes place between Thursday 4th and Sunday 14th April. 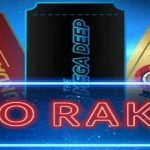 Consisting of thirty-four events, the series focuses on quality rather than quantity, and consequently offers some fairly decent guaranteed prize pools compared to its regular tournament schedule. 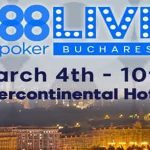 Two of the most popular events are undoubtedly going to be the $20,000 guaranteed Mini Opening Event on Thursday 4th April and the $500,000 guaranteed Main Event on Sunday 14th April – the reason being that 888Poker is giving players the opportunity to satellite into these events for free. One important note about this promotion is that it is only available to players with “funded accounts” – i.e. players who have made a real money deposit into their 888Poker accounts. If you have downloaded the software to take advantage of 888Poker´s no deposit bonus promotion, you will have to make a real money deposit in order to play in the free XL Blizzard Satellites. If you are eligible to play in the free XL Blizzard Satellites, you will be invited to take part in the promotion via email or via a pop-up box when you next log into your 888Poker account. If you accept the invitation, you will be given two satellite entry tickets. The first can be used to play in the Mini Opening Event Satellite, the second to play in the Main Event Satellite. The Mini Opening Event Satellite takes place each day at 5:00 pm GMT. The top thirty players in each day´s satellite will win a seat in the target event worth $16.50. The Main Event Satellite takes place each day at 9:00 pm GMT. Only the top twelve players in each day´s Main Event Satellite will win a seat in the target event worth $250.00. 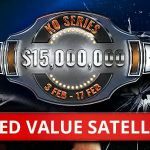 Once you have played in at least one free XL Blizzard Satellite, you will receive details of how you can win further entries into the free XL Blizzard Satellites. These will be in the form of “Personalized Poker Challenges” that you have to complete in order to be awarded a seat; although please note, if you have already qualified for the target events, you will not be allowed to enter the satellites. If you have not yet made a real money deposit into your 888Poker account, and are thinking of doing so to take part in this promotion, our advice is to initially ignore 888Poker´s XL Blizzard deposit offer entitling you to three free satellite tickets. If you take advantage of this offer using the 888Poker deposit bonus code “BLIZZARD10”, you will forfeit the regular 100% first deposit bonus up to $400. A far better alternative is to follow our links to 888Poker and take advantage of our exclusive first deposit deal that will entitle you to a 100% match bonus on your first deposit up to $600 (instead of $400). 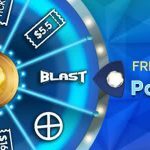 Then, make a second deposit of $10 or more using the 888Poker bonus code “BLIZZARD10” to get your free tickets. This is why it is always worth reading the terms and conditions of any promotion. The XL Blizzard series offers something for everyone, with buy-ins for the feature events starting at just $5.50 and a comprehensive satellite schedule feeding into more valuable events. If you intend playing in the series, it could be well worth your while to take advantage of the free XL Blizzard satellites. Just remember if you qualify through a free satellite, these are must-play events for which you will be seated automatically, with no refunds or exchanges available if you are unable to play.